Sometimes, products, services and companies fully deserve the harsh reviews they may get online–bad service, shoddy products and questionable business practices are all valid reasons to call out the culprits and warn others away from a potentially negative experience. Not only can such reviews act as a public service, but some are hugely entertaining (you’ve seen Amazon’s review page for these Haribo gummy bears, right?). But what if the online reviews upon which customers are basing purchasing decisions are totally fabricated? According to recent YouGov research, a surprising 21% (one fifth!) of Americans who have reviewed a product or service online say they have done so without ever buying, using or trying that product or service. Who would do this, you ask? Surely this is the behavior of young, bored, immature kids, right? Wrong. We’re talking adults, here. And not just any adults–parents. While there does seem to be a bit of a gender gap in this trend (men who leave reviews are more likely to falsely review untried products than women–23% versus 17%), the group that seems to be most guilty of fabricating reviews are parents of children under 18 (32%). 19% left a false review because they did not like the manufacturer or service. 22% did so because they didn’t like the idea of the product in question. Really, people? You just felt like it? Don’t you have anything better to do? 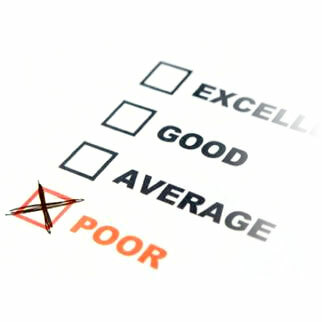 When it comes to businesses behaving badly, we are all for reaping what you sew, but since nearly 8 out of 10 Americans check reviews before purchasing a product or service “at least sometimes,” and 26% always check reviews before making a purchasing decision, these false reviews can have real impact on the companies involved. Since there is no “innocent until prove guilty” rule in this murky world of online opinions, some businesses are fighting back by taking legal action against non-customers who leave false reviews. What do you think about this, readers? Were you as surprised as we were, or are you one of the guilty parties leaving fake reviews willy-nilly? Either way, we’d like to hear from you in the comments section!